Home » Health » Oral Healthcare » What are Sensitive Gums and Sensitive Teeth? Sensitivity is a common problem which people face all over the world. Any irritation, pain, soreness in your gums or teeth indicate sensitivity. Thankfully, both gums and teeth sensitivities are treatable. Some common treatment modalities are desensitizing toothpaste, professional scaling, root canal treatment, etc. Moving further, you will find out the difference between the gum and teeth sensitivity. Also, you will know the causes of sensitivity and measures to prevent it. Appearances can be deceptive. So, if your teeth look all clean and you experience irritation, soreness or pain, then have a look at your gums. Your gums might be sensitive. On careful observation, you will see a change in the color, consistency, and contour of your gums. While the normal gums appear pink, firm and resilient, in gingivitis, they turn red and swollen. Sensitive gums are accompanied by redness, bleeding, and swelling. Also, they can elicit bleeding on brushing which further progresses to periodontal diseases. The prime reason for gum sensitivity is plaque and calculus. Plaque may be visible or might be hidden above your gum line. Mechanical forms of trauma can stem from improper use of a brush or application of fingernail pressure against gums. Sometimes even chemical irritants can cause sensitive gums. These chemicals include topical application of caustic medications, such as aspirin, allergic reactions to toothpaste, or use of concentrated mouthwash. Diabetes, a metabolic disorder, characterized by high blood glucose level can affect your gums and other oral tissues. Swollen, tender and bleeding gums are the common oral findings in a diabetic patient. 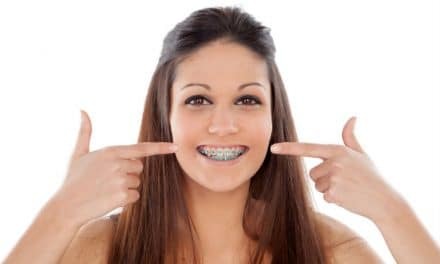 Puberty – There is an exaggerated response of gums to plaque during puberty. But it is not a universal occurrence with all individuals. Menstruation – In the days preceding menstrual flow, some females may complain of bleeding gums and tense feeling in gums. Pregnancy – Hormonal changes during pregnancy can elicit gum changes such as tenderness and bleeding during flossing or brushing. Nutritional deficiencies need to be severe and prolonged before you expect any dramatic implication. Vitamin C causes significant sensitivity in gums in the late stages of scurvy. Other conditions which have various gum implications are leukemia, acute necrotizing ulcerative gingivitis, stress, etc. Teeth related sensitivity occur when the outer protective layer, also known as enamel, is destroyed. It causes exposure of the underlying dentine. The sensitivity of teeth is also caused by denudation of the root by the overlying gums due to the recession. 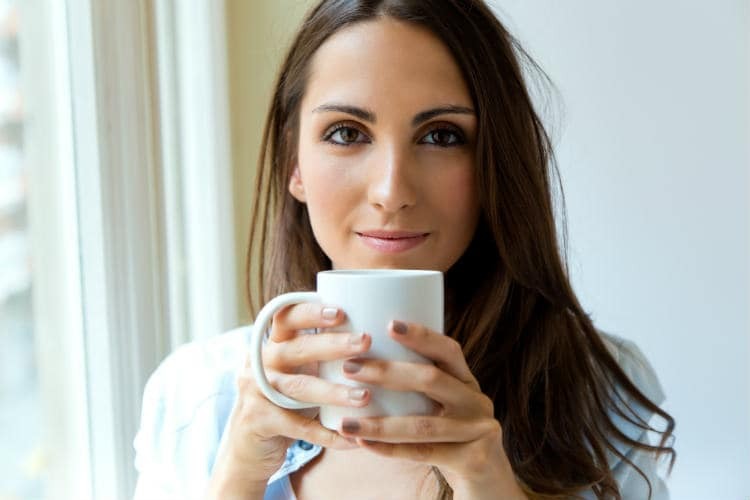 When you wince over a hot cup of coffee, it means you have sensitive teeth. If you see wedge shape depressions at the junction of gums and teeth, then it indicates that you are brushing too hard. Brushing with too much of force can wear out enamel surface. With time it can expose underlying dentine, resulting in teeth sensitivity. It is mainly age-related physiologic wearing of teeth which causes sensitive teeth. With increasing age, surfaces of teeth are worn out due to a tooth to tooth contact which leads to exposure of dentine and thereby sensitivity. Build up plaque over time become home for bacteria. These bacteria produce acid and destroy teeth which leads to cavities. Cavities damage the outer layer of teeth or enamel and expose the underlying dentine which results in sensitive teeth. In general, tobacco is harmful to teeth and oral tissues. There is a strong association between smoking and tooth sensitivity (1). It is responsible for various oral diseases. Abnormal habits like night grinding take a toll on dentition and destroy the outer layer of teeth. Enamel erosion leads to dentine exposure and cause teeth sensitivity. Traumatic injuries result in tooth fracture and hence expose underlying dentine. Fracture or chipped teeth expose underlying dentine and cause sensitivity. The resulting pain can be mild or severe depending on the injury. The dental procedure of crown placement requires a slight reduction of the enamel layer. Over the time, the whole procedure might result in the sensitivity of teeth. A newly restored tooth is sensitive. But after sometime, this sensitivity goes away. If the sensitivity does not go away in two to four weeks, then consult your dentist as soon as possible. Various gingival diseases and periodontitis can expose the root surface and can cause sensitivity. Roots are not covered by the protective layer of enamel, like the surface of the tooth. So, roots are not insulated from hot or cold and as soon as they are exposed, you feel sensitivity. One of the various complications associated with oral jewelry is tooth sensitivity. If you are wearing any oral jewelry then it increases the chances of plaque accumulation, gum recession, chronic injury to oral mucosa and teeth. Eventually, oral jewelry results in teeth sensitivity. A patient’s history, signs, symptoms form the basis of diagnosis. Proper diagnosis will determine the appropriate treatment modality of a patient. Various dental X-Rays are taken to rule out cavities, infection, abscess and to confirm gum sensitivity. Also, your dentist will observe the color, consistency, and contour of gums. Your dentist may perform various heat tests and cold tests to verify teeth sensitivity. These tests will find out the main stimulus behind a patient’s teeth. Sensitivities related to gums and teeth can be prevented and treated. On the whole, sensitive gums or teeth may seem like a small issue. If you do not take care of teeth or gums sensitivity, then it can result in various more severe periodontal problems or even tooth loss in the future. The good thing is that sensitivity is preventable and reversible. So, don’t ignore it. Identify the cause and go for suitable treatment options. You can also consult a dentist as soon as you feel gum or teeth sensitivity. 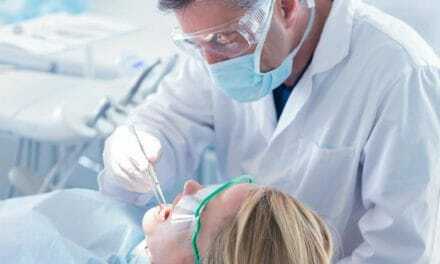 PreviousBleeding Gums and Diabetes – What is the Connection?